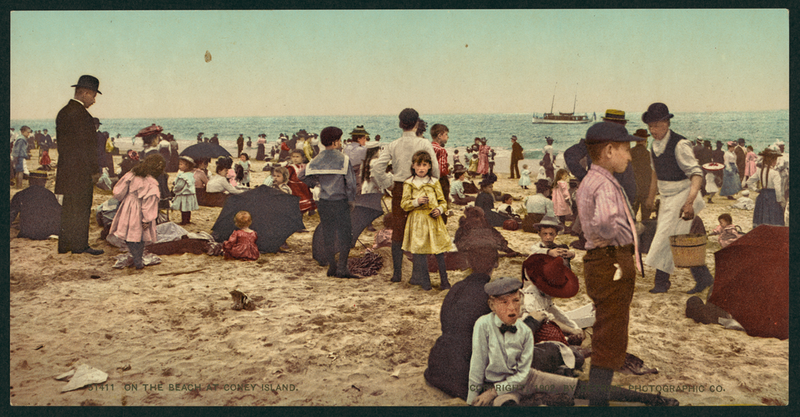 Whether it's 2015 or 1902, nothing says summer like a crowded beach. 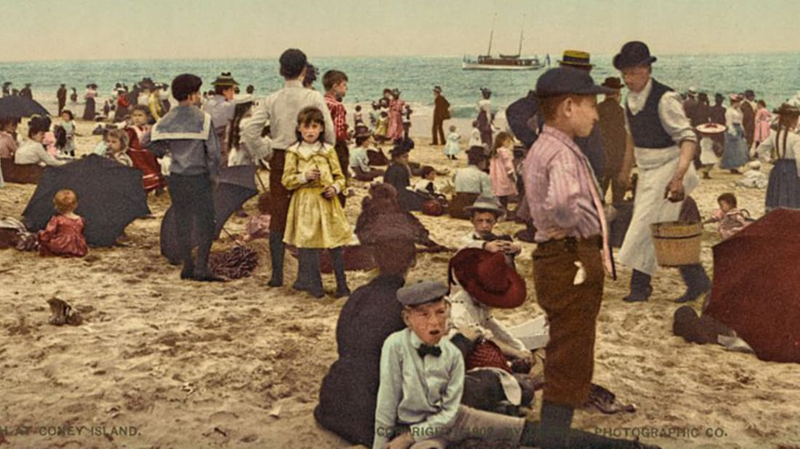 This early 20th century photograph from the Detroit Photographic Company, titled “On the beach at Coney Island,” shows in gorgeous photochrom color what the beaches of New York looked like way back when. Photochrom pictures aren’t technically color photographs, but rather colorized images made from black-and-white negatives that have been transferred onto lithographic printing plates. The process creates vibrant colors that live somewhere between real life and a hypercolor dream world. The beachgoers in the shot might be a bit more covered up than their modern-day counterparts, but it’s nice to see that in many other ways, not much has changed at all.